The Formtastic 2016 Tax FormsPack is now available. 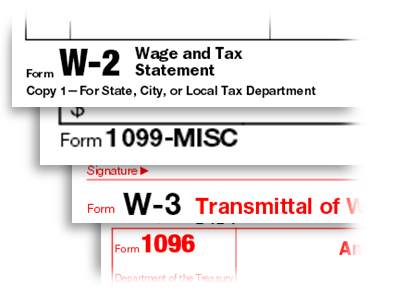 These pre-designed form overlays replace pre-printed tax forms and enable Formtastic customers to quickly map tax return information from their IBM i files directly into common IRS forms including 1099, W2, W3, and 1096. There are more than 40 form templates total and you can see what's included here. Prior to tax season each year, we release an updated version of these forms for that year. Our customers can simply download the forms, use our GUI Formtastic editor to drag and drop the correct tax information from their IBM i spool files, or point to the data in their DB2 database files. After that, Formtastic will automatically generate their tax returns as digital PDFs or printed documents, and can even be set to automatically email or archive the document. Formtastic enables our customers to automatically modernize a huge variety of their IBM i generated documents, such as invoices, POs, account statements, accounts payable checks, and product or shipping labels with barcodes. With Formtastic's PC-based form designer, users can easily add graphic elements such as images, boxes, lines, different fonts, colors and page layouts. Users can map data directly from spool files or data files, and document merges can be set to occur automatically when a new spool file is created, programmatically via a CL command, or manually as needed. Once the document is created, Formtastic can automatically distribute the documents via email, fax, print. It can also archive documents on a network drive or even upload and index them in a secure, searchable web-portal hosted on IBM i. In addition to our Tax FormsPack, we offer a large number of pre-designed forms, checks and labels, as well as some pre-mapped forms for popular ERPs. If you'd like more information on how the Formtastic Tax FormsPack can help automate your tax return process, contact us now. This entry was posted in Blog, Formtastic, Our happenings, Product Updates and tagged 1094-C, 1095-C, 1096, 1099, formtastic, tax forms, tax formspack, taxes, w2, w3. Bookmark the permalink.